Caroline Barnett grew up on a farm in the Cotswolds, where she developed a deep and abiding love of nature and the subtle shapes and curves of living things. Expressing this through art was a natural development, but she qualified as a solicitor and spent a busy 24 years travelling with her diplomat husband, bringing up their two children and working in a variety of ways and places. 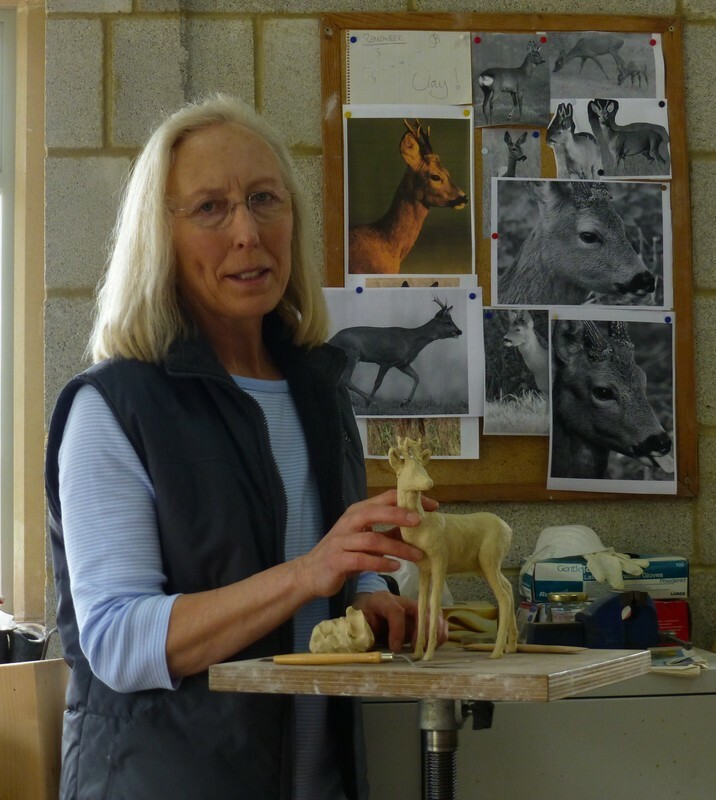 Having returned to the Cotswolds in 2000, she began sculpting seriously, initially in terracotta, but soon began producing limited editions of much of her work in bronze, or in resin with bronze, stone or iron, as well as continuing with some ceramic sculpture. Caroline’s work is largely figurative, and living things remain the bedrock and inspiration. Fascinated by the way thought, emotion and instinct are expressed externally in form, she is particularly drawn to moments when her subject is totally absorbed – be it in stillness or in activity – resulting in unselfconscious revelation of the inner being. Her works are in private collections throughout the UK, as well as in Germany, France, the Republic of Ireland, Australia, Canada and the USA. She enjoys working to her own ideas, but is willing to consider commissions both for indoor and outdoor pieces.